A ruptured liquid fertilizer storage tank can cause significant property damage and environmental contamination. The failure of liquid storage tanks can stem from inadequate tank design, construction, inspection and maintenance. Hazard reduction and prevention starts with good design and construction. The risk to tanks already in service can be reduced through tank maintenance and inspection. To minimize effects from possible tank failures, there should be a secondary containment such as a dike or a berm surrounding the tank. Avoid purchasing used tanks as relocation and installation can compromise the structural integrity of the storage unit. Ensure that employees are aware of the hazards associated with the failure of a liquid storage tank. Perform regular inspections of tanks. Be sure to look for all possible risks. A close external inspection should be made for leaks, corrosion, poor welds or any anomalies in the surface of the tank. Vents should be checked for any blockages by foreign materials, such as snow or ice. The majority of the failures have occurred during the winter months, when steel becomes more brittle and when vents can become blocked by snow and ice. If liquid is drawn out of the tank when vents are plugged or restricted, a vacuum may be pulled on the tank causing it to collapse inward. If you find evidence of leakage or corrosion during the inspection, the tank should be taken out of service and if possible, drained. If any problems are identified, arrange for an internal inspection immediately. Follow up on problems identified during inspections by conducting repairs or, if necessary, replacing the tank. 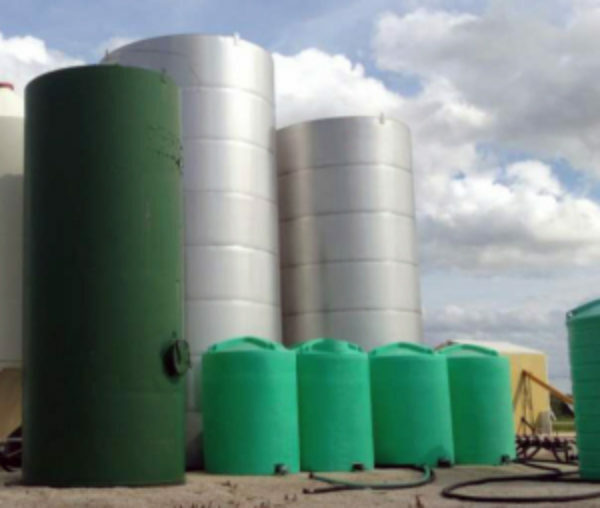 Locate storage tanks and construct their secondary containment systems so as to separate the contents of a leaking or collapsing tank from the rest of the facility and to prevent any leakage from going offsite. Develop an emergency plan that addresses a catastrophic tank failure.